Did you know that pointing at objects or people marks a huge milestone in a child’s development? It’s much more than one of those cute things they do. Babies begin to point between 7 to 15 months of age. First, a baby will point using their whole hand. Then, a few months later they will start to extend their index finger. Babies and children point to ask for things which is called imperative pointing. They will also use this gesture to draw someone’s attention which is called declarative pointing. Research has shown, the more children point and gesture non-verbally early in their development, the better their language abilities are when they are older. 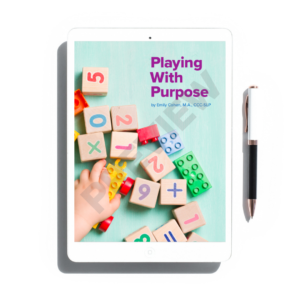 When a child begins to point, they are sending a message, making attempts to influence someone’s actions, and seeking another person’s attention. Pre-verbal gesturing is also important because it gets us, as adults, talking and modeling language in meaningful ways. When a baby points to objects, it encourages an adult to label the items the baby is interested in or to validate the child’s communication. This helps the child learn words; and the more words a child hears and learns, the more words they have access to when they are ready to talk. 1. Model by making an effort to point at things when interacting with your child. Babies learn by watching and seeing. So they will begin to understand how pointing works when their parent or caregiver points to things during play and everyday routines. Start by directing attention to things that are nearby. You can point to things like an enticing snack that is just out of reach or a favorite toy. Once they are attending to the item, you might say its name or ask a question. Then try pointing to things that are a bit further away. For example, point to the ball that has rolled across the room. 2. 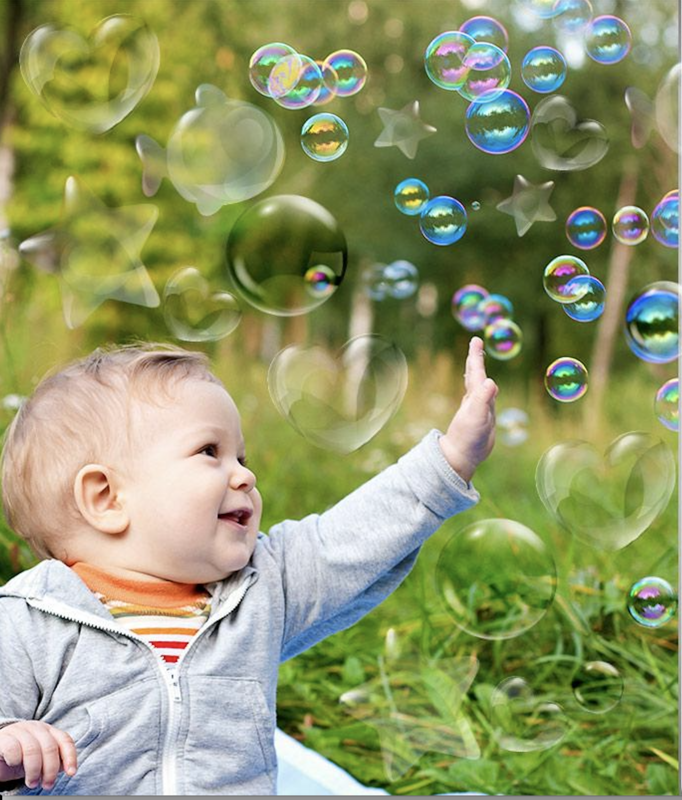 Blow bubbles for your child and practice popping them with your finger. Model pointing at the bubbles and using your finger to pop them. Be sure to use language and words while you are pointing and popping. Say things like, “look at the bubbles; I see some bubbles or pop bubbles,” all while you are pointing. 3. Play a game using any shared activity. For example, point to photos and pictures in a book while labeling the items. Try pointing to your body parts and the child’s body parts while labeling each one. You could also do this with my favorite PWP toy, Mr. Potato Head. At first, you may need to gently help your child use their hand for pointing. 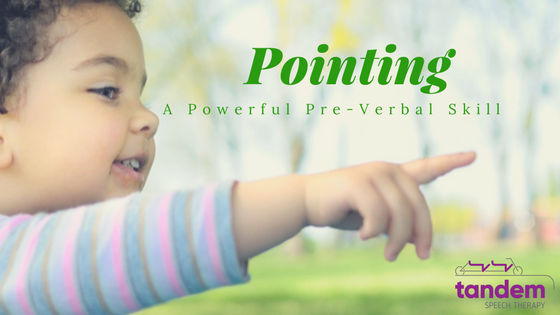 The more you model pointing, the more you will see your child using this pre-verbal communication independently. When your child does start pointing, be sure to get VERY excited about whatever item they are pointing to. Try saying, “I like how you are pointing at your cup,” or “I see you pointing at the ball,” for reinforcement of the new skill. When you praise your child for pointing, you provide positive reinforcement which will encourage the communicative behavior. Modeling, and modeling often, is the best course of action for parents and caregivers in the beginning. 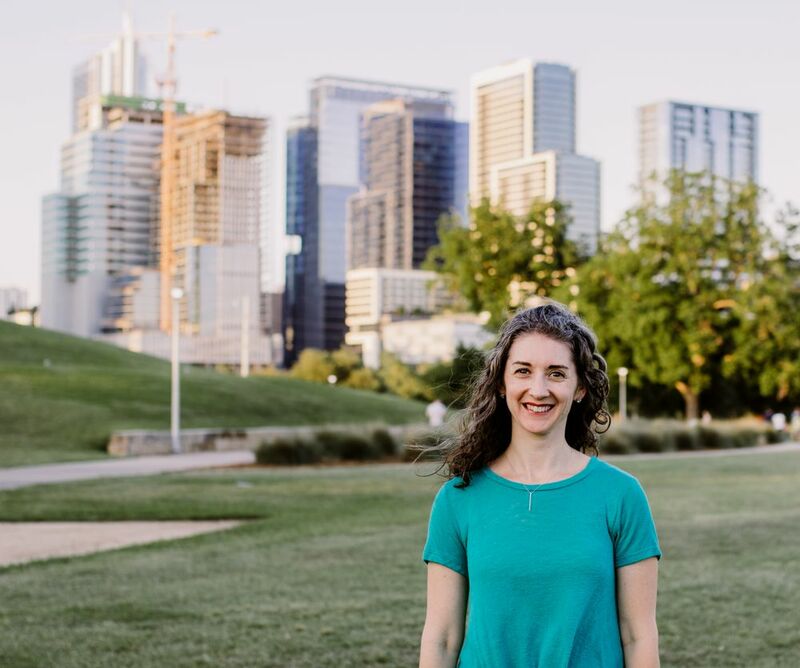 If your child is not pointing by 15 months or is not using any gestures by 12 months, you should bring it up with your pediatrician or contact a pediatric speech therapist like myself just to be safe. Want to learn ways to encourage more pointing?